Companies in diverse chemical manufacturing industries need reliable pumps. White Knight pumps are designed and manufactured in house. We fully control quality at every step to ensure White Knight pumps are reliable and ideally suited for your most critical chemical processes. White Knight pumps deliver, circulate, reclaim and transport high-purity fluids for manufacturing chemicals. Ultra-pure air-operated double-bellows pumps (AODB pumps) feature Teflon® PTFE and PFA flow paths. These reliable, leak-free pumps offer high flow rates, steady pressures and stable temperatures. They do not contain metals or elastomer O-rings. They are dead-head capable, and provide high suction lift. 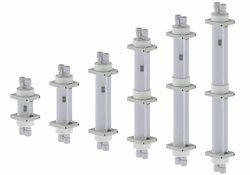 High-purity air-operated double-diaphragm pumps (AODD pumps) feature Teflon® PTFE or UHMW (PE) corrosion-resistant fluid paths. These safe, reliable pumps offer superior performance and simple maintenance. PSB Series AODD pumps are direct retrofit replacements for obsolete chemical delivery pumps. Pneumatic metering pumps and electronic metering pumps feature Teflon® PTFE flow paths and accurately dispense up to 100 ml and 50 ml, respectively. Their fully-supported rolling diaphragms maximize pressure capabilities and ensure safe, reliable chemical dispense for chemical replenishing, blending, dosing and spiking. Mini-pumps offer up to 300 ml/min flow rates and 160 psi discharge pressures. They feature Teflon® PTFE and PFA fluid paths, and their spring-loaded checks enable them to mount in any direction. Solenoid valves actuate each suction and dispense. Automatically maintain and accurately control pressure for circulation loops or multiple dispense points without additional circuitry or feedback. 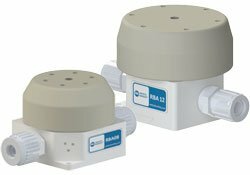 Pressure regulators are remotely piloted and feature fully-swept Teflon® PTFE and PFA flow paths. White Knight pressure vessels provide laminar flow at the point of use. They feature chemically-resistant PTFE and PFA fluid paths for chemical dispense and mixing in harsh applications. 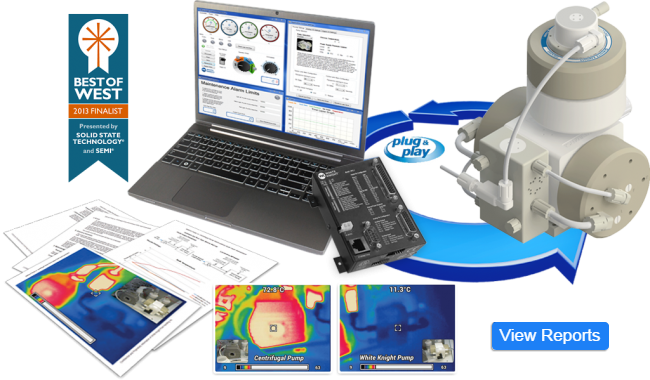 White Knight engineers design superior fluid handling solutions for specialized semiconductor fabrication technologies.